The Bank of America and J.P. Morgan Chase & Co. are two of the main giants of the finance world, and the two have had long and distinguished histories in the world of banking. Responsible for billions of dollars worth of transactions between them, the two companies have more than their share of differences and similarities, some of which we tackle here. The Bank of America is primarily a financial services company that is currently the largest bank holding company in the U.S. in terms of assets. In terms of market capitalization, it is the second largest bank in the country. J.P. Morgan Chase & Co. is one of the first financial services companies in the world, with offices in more than 60 countries. It is the largest financial organization in the world in terms of market capitalization, with assets in excess of $2 trillion. Bank of America has clients in over 150 countries worldwide, and as much as 99% of Fortune 500 companies in the United States are among its clients. The Bank of America also has numerous clients in the Fortune Global 500. With its acquisition of Merrill Lynch in 2008, Bank of America became the largest investment-banking firm in the world, holding up to 12.2% of all deposits in the United States. J.P. Morgan Chase & Co. serves millions of customers in the United States and elsewhere, and it has a client roster that is comprised of some of the leading corporate, institutional and governmental institutions in the world. The company is involved in various types of financial services including asset management, private banking, wealth management, and treasury & securities. 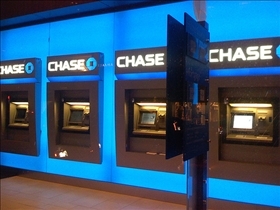 J.P. Morgan Chase & Co. also has a line of credit cards under the Chase brand. 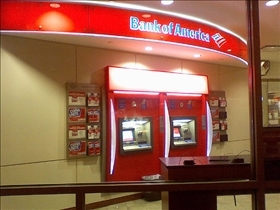 One of the most publicized controversies that the Bank of America was involved in occurred in January 2008 when certain customers of the bank were informed that their interest rates would be doubled. Along with this was the raising of rates even for customers of good credit standing, and additional controversy stemmed from the bank’s neglect in providing an explanation. After the controversy was made public via a YouTube video, the bank then made steps to lower the interest rates of some-although not all–of its clients. The Bank of America has also recently been questioned for the erroneous seizing of three properties not under its ownership, with the cause being a wrong address. J.P. Morgan Chase & Co. has been involved in its share of controversies as well, with the most notable one involving sales that resulted in the near-bankruptcy of a county in Alabama. The case was settled with the U.S. Securities and Exchange Commission to the tune of $722 million. The largest bank holding company in the U.S. in terms of assets, and the second largest in terms of market capitalization.